Why aren’t there more lions? 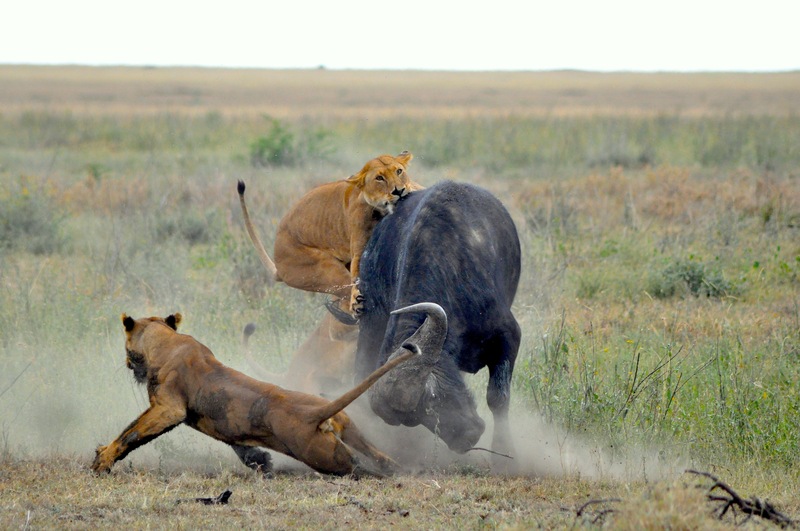 That was what puzzled McGill PhD student Ian Hatton, when he started looking at the proportion of predators to prey across dozens of parks in East and Southern Africa. In this case, the answer had nothing to do with isolated human hunters. 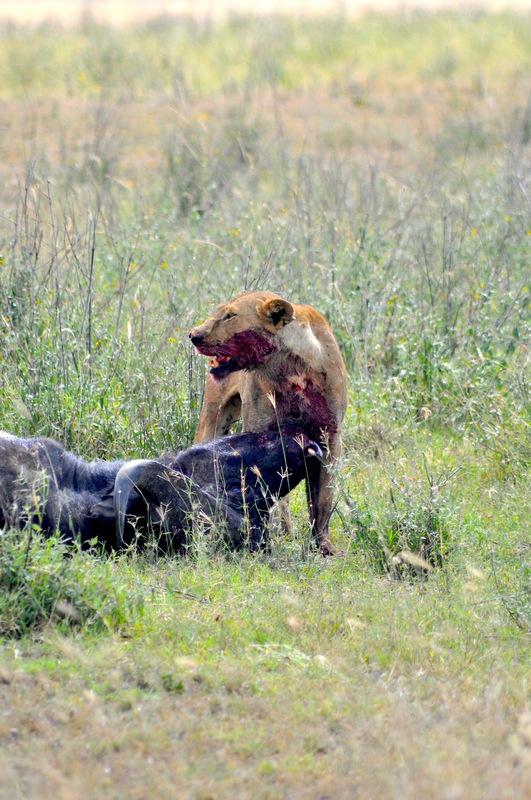 The parks were teeming with potentially tasty treats for the lions. 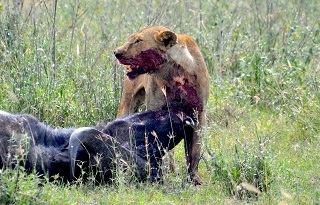 So one might imagine that the population of lions in each park would increase to match the available prey. Instead, what Hatton and the McGill-led team discovered was that, in a very systematic way, in crowded settings, prey reproduced less than they did in settings where their numbers were smaller. 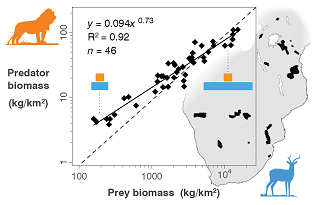 Moreover, they found this same pattern in a whole range of different ecosystems. 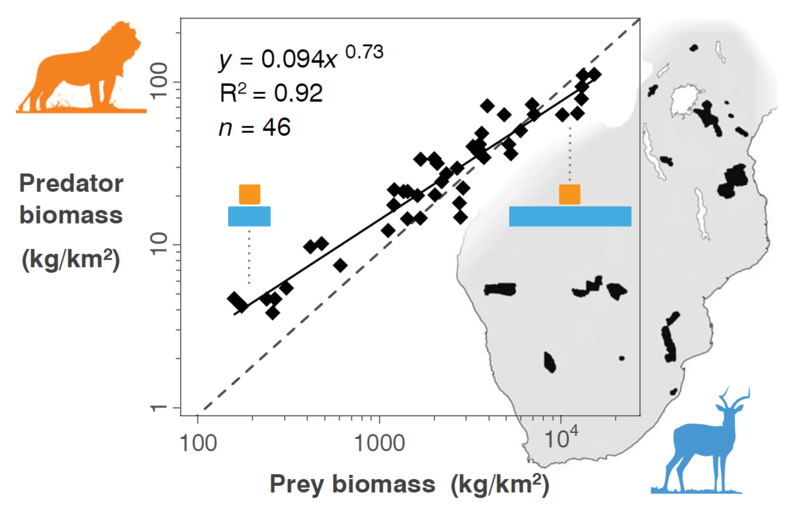 It’s a surprising finding that suggests a level of organizational structure and function in ecosystems that had not previously been recognized. Although biologists have long known of very regular mathematical laws governing functions in the body like metabolism and growth, no study has ever shown that similar kinds of laws may exist at a whole other level: that of ecosystems globally. Some scientists are already suggesting that it may well be the discovery of a new law of nature. It came about by chance. When Hatton and his colleagues then started putting it all together and crunching the numbers, summing up all the carnivores (lion, hyena, leopard, etc.) and herbivores (buffalo, zebra, impala, etc.) in these parks, they found a very unexpected and regular pattern. In every park they looked at, there seemed to be a very consistent relationship of predator to prey. But not in the simple pattern they might have expected to find. Once they observed this pattern in one setting, the researchers then began analyzing data about food pyramids, and the relationship between predators and prey in ecosystems as varied as the Indian Ocean, the Canadian Arctic and the tropical rainforests. Over the course of the next few years they analyzed data gathered about both plants and animals from more than 1000 studies done over the past 50 years covering a range of grassland, lake, forest and ocean ecosystems around the world.